Falsely accused of murdering the former Chief of Police. Evidence in the Cole case was mishandled, ignored and thrown out. Now an innocent woman languishes in prison while the guilty go free. Donate to the Free Celes Jade fun to help catch the real perpetrator and bring justice to Nomos! A new life awaits you in the offworld colonies. We've all seen the ads but how many of us really have a chance at a new life? Life in Nomos can be a perpetual struggle for some who are forced to turn to crime just to survive. Your donation to the CRAPP fund will give those who most need it a chance to begin again. 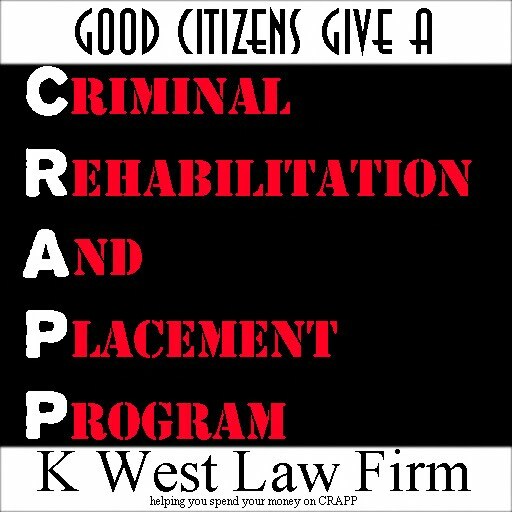 CRAPP will fund professional training and offworld placement for convicted criminals, giving them a fresh start and getting them out of Nomos. When you spend your money on CRAPP, you know its going to a good cause. Its not just another social welfare program, its CRAPP. Donate at the gold level or above and receive a complimentary CRAPP baseball cap and CRAPP lapel pin so everyone will know you spent your money on CRAPP. For a limited time - Donate at the Gold level or above and receive a logo pin and ballcap so you can show your support. Do the right thing. Show the community you care. Give now. 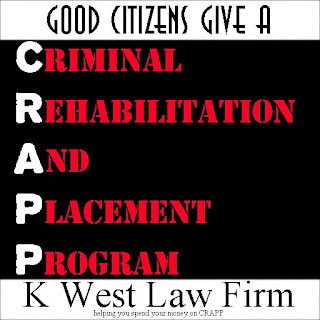 Donations accepted by K West Law Firm and its associated ownership.